As he slowed, Hamilton hunted him down to claim his first win of the season, his third at the Bahrain International Circuit and the 74th of his career ahead of his Mercedes team-mate Valtteri Bottas, who won the season-opening Australian Grand Prix. Kimi Raikkonen, 39, was seventh for Alfa Romeo ahead of Pierre Gasly of Red Bull, Thailand’s rookie Alex Albon of Toro Rosso, who also had his first points finish, and Mexican Sergio Perez of Racing Line. Bottas stayed on top in the drivers championship, one point ahead of Hamilton. “That was extremely unfortunate for Charles, he drove a great race,” Hamilton said over the radio. 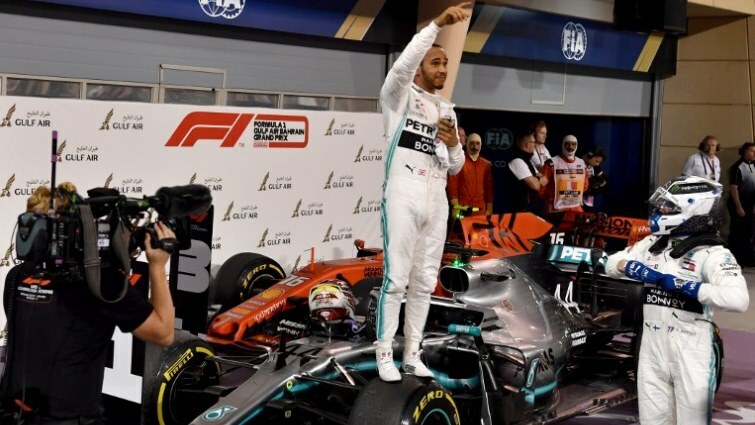 The post Hamilton wins Bahrain Grand Prix after Leclerc heartbreak appeared first on SABC News – Breaking news, special reports, world, business, sport coverage of all South African current events. Africa's news leader..